What do fire extinguishers, medications, packaged food, some medical supplies, and batteries have in common? They all have expiration dates and will lose their effectiveness once expired. Make sure your fire extinguisher expiration date is still valid and the pointer is in the green area of the meter. Make sure your medications are within their expiration periods and bring any expired medications to a local drug take-back location or police station for proper disposal. Make sure your food hasn’t expired. There’s been some conversation about how valid and strict food expiration dates are but I continue to go with, “if in doubt, throw it out.” Not one to waste food but also not one to end up with food poisoning either. 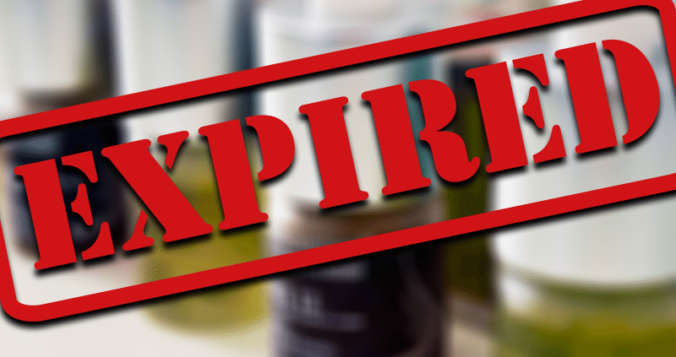 There are some medical supplies that have expiration dates on them. Instant cold packs, eye wash, and water packets, among others, carry an expiration date. A doctor’s prescription may have an expiration date as do some medical directives. Batteries, too, can expire after a number of years. Check dates regularly and replace what’s expired.